Join our mailing list to stay up to date on what's happening with gigs, festivals, and new releases. The best of 1920′s, 30′s and 40′s hot dance music and radio/motion picture hits. 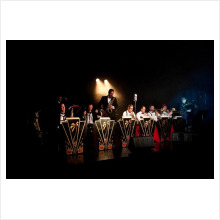 The 11-piece Cotton Club Orchestra specialises in early big band jazz, swing and those unforgettable songs of the golden years, all the while looking resplendent in their duotone finery. 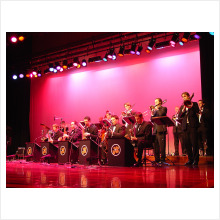 most entertaining and classy 19-piece big band! Since their very first performance, Michael McQuaid’s Red Hot Rhythmakers have played to packed houses and standing ovations, and toured Australia, playing concerts, dances and jazz festivals. 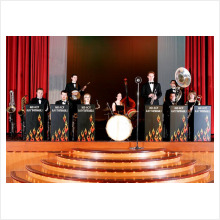 Their driving rhythm section, wailing saxes and roaring brass will be sure to keep your ears happy – and your feet! 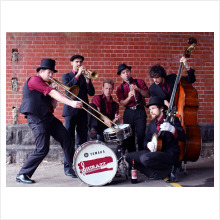 Shirazz is a six-piece Melbourne jazz band specialising in classic jazz of the 20s and 30s. 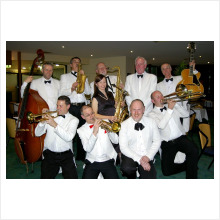 Their repertoire is based on traditional dixieland, New Orleans jazz, swing and blues, but with reinvented pop and rock classics added in their authentic vintage style. All content, text and images on this site copyright © Belle Musique Entertainment 2011. All Rights Reserved.